It has become very interesting in recent episodes to see how many well-known insiders have had similar experiences with those we've heard in past testimonies. When we add knowledgeable newcomers to the equation things become even more interesting. 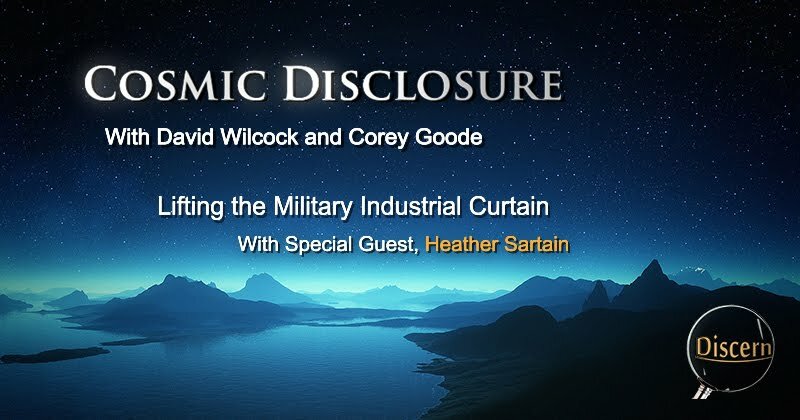 This episode of Cosmic Disclosure brought the testimony of one individual whom I had never before heard of until now. However, what she had to share adds to the knowledge base of the series in a way that many may not have seen coming. 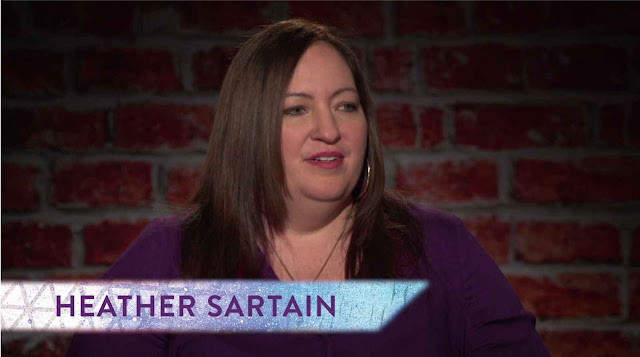 Heather Sartain is the daughter of the late Edward Glen Sartain—a high-ranking military official who worked for Lockheed Martin. This is one of many details that reveal Sartain's exceptionally unique background. Aside from the usual rigor of growing up as the child of a high-ranking official, Heather was exposed to numerous sensitive data which very few if any civilians were privy to at the time. According to her testimony, she has seen and heard things that many of us have only dreamed of or seen distorted representations of in passing. The overall scope of Sartain's experience seems to compliment the flow of the series in remarkable ways. David Wilcock: Okay, welcome to “Cosmic Disclosure”. I'm your host, David Wilcock, and we are here with Corey Goode. And we have a special insider for you, someone who has bravely come forward and is bringing us a lot of interesting corroborating information. Her name is Heather Sartain. So, Heather, welcome to the show. David: All right. And Corey, welcome back, buddy. David: So, Heather, let's just hit the ground running here. Since the viewer might not know anything about you, I'll just say that you came up to me at a conference and told me that your father worked for Lockheed Martin. David: And that there was a lot of very interesting stuff that he said that fit very nicely with what I've already been talking about. David: Okay, so could you just briefly tell us a little about yourself now. I know that you're a college professor, but what is your specialty in your work as a college professor? Heather: I teach part time at a local university, and I teach geology and astronomy and physics courses. My background is in physics and geology. David: Okay. 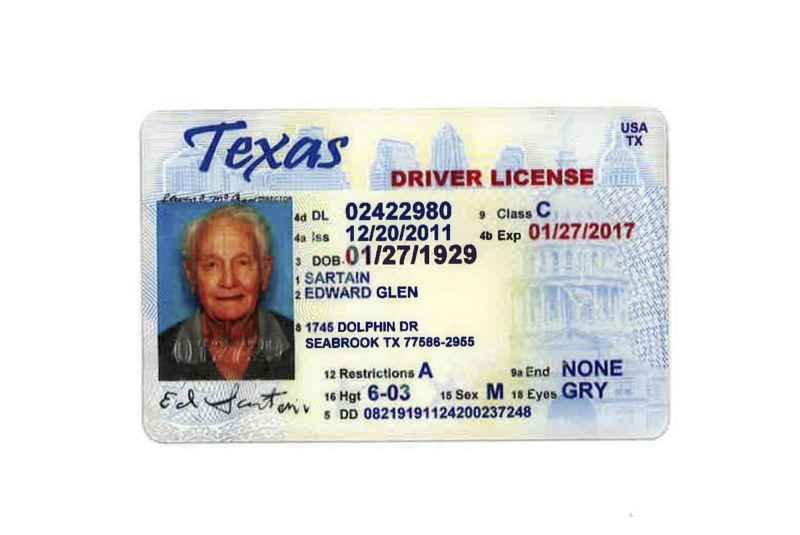 So Heather, I wanted to start out by explaining that you handed me some very interesting documentation here, the first one being your father's Texas driver's license. David: And so we see that his name was Edward. It's very clearly real. It says it expires on January 27, 2017. And when did he pass away? Heather: In July of 2013. David: July 2013. 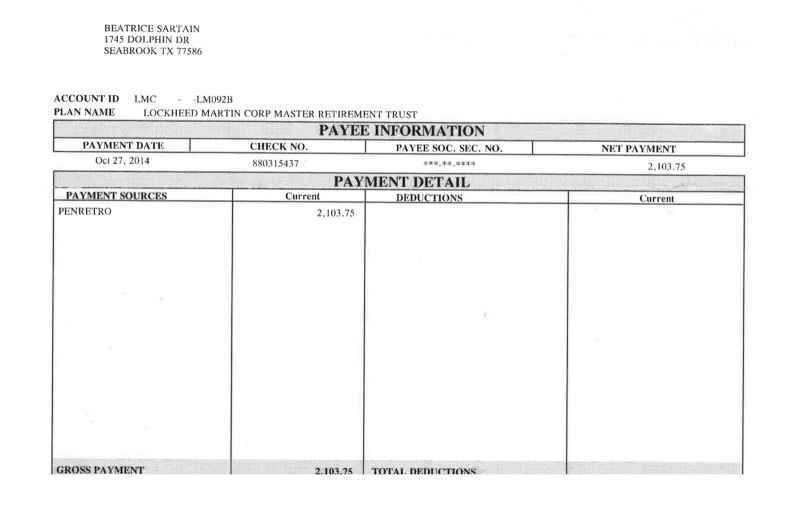 And the next thing that I have here is, it says, “Lockheed Martin Corporation Master Retirement Trust”. It's a check made out to your mother for $2,103.75. And it says, “Lockheed Martin” right on here. And this is his retirement or pension or something? Heather: Yeah, she receives half of his retirement after he's passed on. David: Okay. So I just wanted to bring that up to confirm to you watching this that a lot of UFO researchers they really want to see the documentation. And you've been able to provide us with proof that your father did work at Lockheed Martin. David: You grew up with your father having been in the Air Force, you said, originally? Heather: Yeah, he was in the Air Force first of all, and then later he worked for NASA through different contractors. Heather: And he retired from Lockheed. And he was an aerospace engineer, a senior aerospace engineer for 37 years, working on top secret projects for NASA, as well as Space Shuttle mission and all the way back to Skylab and Apollo missions. So his career covers several decades. David: So, Corey, I remember that when you were brought up to the LOC, and you had the NASA hat on, they told you, “Take off that ridiculous cover”. David: Does NASA have any inside knowledge at all? Or are they just a civilian space agency? Corey: There are individuals inside of NASA that have closer to the full scope of information, but most of them that have been briefed or know about a Secret Space Program, only know about the one the Military-Industrial Complex has created. The last I heard, it was two space stations and a number of triangular craft that service them. David: Okay. Heather, getting back to what was going on here, when was the first time that your father said something to you that was out-of-the-box? And what did he say? Heather: He had referenced a UFO encounter that my mom and my sister had in 1966. And this is pretty close to Johnson Space Center where they lived and where I grew up. And that was several years before I was born. And they were talking about it, and he was talking about the different alien groups that he was aware of. And about the age of 12, 13, I began to ask questions, you know, “What are you talking about? I thought 'aliens' was a story. And he said, “No, it's real.” And he mentioned the type of aliens that they saw moving inside the craft, so they were pretty close proximity. [It] happened to be over the Gulf of Mexico, the bay area where the Johnson Space Center is located. And there was no sound in this encounter that . . .
David: What was the shape of the craft? It seems to be a common trend that those who work in the field of black ops, who work with UFOs and classified technology, would be visited from time to time. We have heard from past episodes of Cosmic Disclosure that the world of ETs and extra-planetary contact is not simply a singular experience. Rather, it is the initiation into a community, and once we are a part of that community, we can be influenced by multiple parties within it. In the case of Heather's family, they seem to have already been initiated into the world of UFO technology. Naturally, the ETs would have been somewhat curious to study, and would eventually pay visits to those who are learning about them. This may be one reason as to why Heather's mom and sister were able to witness a saucer craft at such close range. Heather: It's like having two plates, one on top of the other, so that it's kind of a flattened disk appearance, metallic. She said it had blue, glowing lights all the way around it. And it wasn't like lights you would see here normally, a special technology. Corey: And it was close enough that she could see people inside? Heather: Yeah, my sister was six years old. She still remembers what she saw. They could see beings, at least three, moving around inside the craft. And they weren't very large. She said they were like the size of children. Heather: And he talked about different groups that are here on this planet, living among us, and they've been doing so since ancient times, actually, not just in recent times, but ancient times. David: Well, hold on one second. Corey, as far as the idea of Greys being robots, does that line up with what you've heard? Corey: Yes. There are, as we've discussed, a number of of different types of beings that have been thrown under the Grey umbrella. There are the programmed lifeforms that the military uses when they abduct people. And then there are also a group of Greys that were somewhat biologically and technically created by a group that is controlled by artificial intelligence, an ancient group. David: Okay. When she gave a description of the craft, does that line up with anything that you are familiar with? Corey: Yeah, that's a pretty classic UFO for that time period. Heather: She described it as being the size of a typical 10-by-10, 10-by-12 living room. So that's about all the space you would have inside the craft. David: It must have been overwhelming for you as a child to have seen movies like “Close Encounters” or “ET”, and then to be finding out, wait a minute, this is not just some fiction. I mean, what you've already described is a lot of information to hear as a child or as a young adult. I later on became curious, well, why is he so comfortable with this? He doesn't speak as if it's a joke. 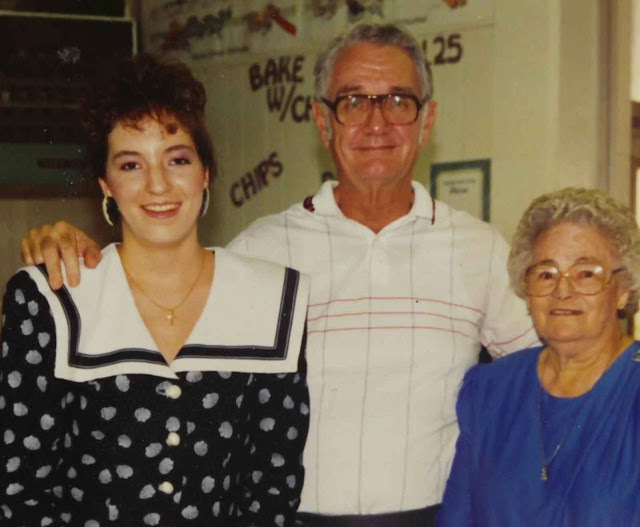 My dad had a very serious personality, very dry sense of humor, a very technical person. Most aerospace engineers are very technical and serious-minded people. And as I got older, I began to ask questions about the different alien groups that he would mention from time to time, either with his peers, a couple of friends he used to work with – I'd hear things in their conversations – or when he was talking to my mother. The notion that Greys are controlled by higher intelligent ETs seems to be consistent with multiple other testimonies. Along with these testimonies, many whistleblowers who have come forward with different beliefs about the regularity of these Greys being found on and around crashed spacecraft. Over time, a handful of former military operatives have come forward claiming that it was impossible to travel in space and that if any organic being were to make the attempt, they would quickly die. This was where much of the idea came from that “all space flight is fake.” As I understand it, this notion was only one assumption which came from a lower level of military clearance. (This may have also been a part of the campaign of disinformation in UFOlogy to discourage further study of space travel.) I find it more likely that the notion of impossible space flight was an assumption derived from the regularity of these programmable life forms being found on crash craft. In actuality, the impossible space flight theory is only one of countless possibilities. The consistent explanation that seems to make more sense is the commonality of these programmable beings used as servants by a number of different groups. It would make sense that actual living members of a group would not want to risk self-endangerment by visiting the planet when they could simply send their drones to do menial task such as pickups and drop-offs of people and supplies. It seems more plausible that space does have its various thresholds to cross, but that these thresholds can be overcome, granted a species has sufficient shielding and technological knowledge to traverse them. The atmosphere and shielding of a planet as well as the shielding of a heliosphere are naturally a challenge to overcome. However, challenge never equates to impossibility for those willing to achieve greater heights. David: Okay, let's just pause for a second there, and I want to get into your father's friends. We had talked off camera about that sometimes they would come to the house? David: So could you just set that up for us a little bit and what was interesting about that from your perspective? Heather: They were also aerospace engineers working for Lockheed, and they would come over, and they would have private conversations in our home. These were things they talked about away from work, but they would share amongst each other. And these were things they were learning from the government. They all had military backgrounds. And these are things that they would discuss because they're piecing parts together of things they've been exposed to. So they would talk about metaphysical things, energy, how it can be manipulated, how the population could actually change the rotation of this planet mentally. You can change the atmospheric conditions. And they would talk about different types of technology that the government's working on that is sort of a reverse-engineering technique based on crashed UFOs that have been recovered and reversed engineering has taken place. Now, I can't attest to if they were working on this reverse engineering, but I know that they understood it. And they had knowledge of it from work. The connection between human consciousness and the physical universe may seem like a far-fetched idea, but let's consider it for a moment. If we were to take into account the way in which the Law of One describes the various densities and how each density represents an expansion of the one below it, this would mean that as we evolve, we do not so much lose connection with the density we graduate, but rather we bring the qualities of the previous density to our high states of consciousness. If this is the case, it would mean that we are still a part of the densities/dimensions from which we graduated. We are still connected to 1st , 2nd and 3rd density even if we have graduated beyond these. In essence, we become an expansion of the low-density experience. This means that we as collective humanity are a higher conscious aspect of the rock, of water, the air, and all of the basic elements. If everything is One, then we are a higher consciousness of the plants and animals as well. As 3rd and 4th density humans, we represent the 3rd and 4th density of awareness of a unified Earth. This is why we may consider ourselves stewards in our own right. It is our task to harmonize the energetic disharmony at our present level of consciousness and to determine the Earth's course from this point on. Our ability to steer the course of our planet manifests in society, in the elemental world, and in the weather itself. With all of this in mind, controlling the weather or the rotation of the planet does not seem so far-fetched. David: All right. Well, . . .
Heather: These guys worked under top secret. David: You said some bombshell stuff, though, and I don't want to make people drink off a firehouse, so let's go back to that. And actually, first of all, just to set this up, Corey, what is your . . . I mean, we're talking about Lockheed like everybody knows what that is. So what is your knowledge of Lockheed and their role in what you were doing? Corey: Well, Lockheed, of course, is a contractor for the government. They do a lot of research and development. So a lot of what they develop goes into the Military-Industrial Complex Secret Space Program. David: Oh. What specific types of technology are you aware of that Lockheed Martin is making for the Military-Industrial Complex? Corey: Well, I don't know the scope of how much they designed and created this technology, but I know they were heavily involved in the creation of these torsion field engines, as well as their power plants, which in the beginning were your normal, run-of-the-mill nuclear reactors. Then, later on, they moved to thorium reactors. And then after that, they moved to using this zero-point energy technology. The reactor would build up electricity in these giant capacitors, and then the capacitors would provide the energy where they were needed for the engine or other devices. David: So, Heather, I wanted to . . . Now that we've kind of set up what Lockheed is, and, Corey, you're saying that they are very involved in the Secret Space Program. David: Okay. So you mentioned this idea of overhearing your father and two other insiders, I guess, saying that our consciousness changes the rotation of the Earth? David: What exactly . . . Could you be a little more specific on that? David: Because that's a pretty shocking thing for people to hear. That's very outside the box. Heather: If everyone on the planet were to be, say, on the same continent . . . The closer proximity you are, the more effective the electromagnetic spectrum works. And through certain types . . .
David: I don't really understand that, though. The closer . . . So you're saying if all our population was on one planet . . .
Heather: No, on one continent. David: On one continent. There would be some electromagnetic effect? Heather: There wold be this electromagnetic change, and it would actually change the rotation of the Earth just by the human thought process. Corey: The proximity of all the minds together. David: They were saying this based on speculation or based on research, or how did they come to this idea? Heather: I would say that this is based on stuff that they already know, and this is stuff that they're concluding, or stuff that they know as fact. The power of group consciousness in controlling the weather seems to make sense from a multi-dimensional perspective. It has been found that the human body has multiple systems which operate on the electromagnetic spectrum. The heart and the brain have been found to be the strongest influences of the electromagnetic environment around an individual. According to author Gregg Braden from the Gaia series, Missing Links, the heart itself creates the strongest electromagnetic field of any other organ in the human body. It could be that the pineal gland holds this potential as well, but according to Braden, the heart and human emotion play a major role in the influence of our electromagnetic environment. This influence includes our immediate surroundings, the people around us, and even the weather itself. Some people may consider it miraculous that the weather can be influenced by a person or a group but according to testimony, this is actually a normal occurrence in our world. We may not have been made aware of our true potential, but according to my understanding this potential very much exists. David: Well, let me ask you this, Heather. In a lot of the research that I have done, when I was working on my first book, “Source Field Investigations”, we have some pretty remarkable information showing that what they call LOD, or Length of Day, meaning the Earth's rotation, does undergo modifications based on solar activity. So you might have the sun give off a burst of energy, and it will either quicken or slow the Earth's rotational speed in a way that is subtle but measurable. Did they have any reason to understand why the Earth's rotation could be affected by human beings? You say it has to do with electromagnetic energy somehow? Heather: Yes. Inside every person, you have control over electromagnetic fields. You have your own inside the pineal gland, and you also have the interferences of other types of electromagnetic energy. So that includes all of the light spectrum. We have really short wavelengths of energy coming in from cosmic radiation all the time. And we also have very slow wave or longer wavelengths of, like, radio waves, for instance. Like AM radio waves can be three meters in length. Heather: And our pineal gland actually produces short wavelength radiation. And it's not harmful to us or animals or anything on this planet. But the closer you are together, the more metaphysically powerful it is. Heather: And that doesn't mean that we have to be like crammed inside a tuna can, but it just represents the proximity of the mind and the consciousness working together can affect an entire planet, if not neighboring planetary bodies. David: And they knew this scientifically? David: Okay. So, Corey, this seems to raise a lot of questions about mass consciousness effects. And what are your feelings about how the Cabal has been aware of this and is using this knowledge? Corey: Well, I mean, as I've stated many times, the power of our co-creative consciousness, they want to keep us unaware of, because that is THEIR true power. They manipulate us and our collective consciousness to cause things to happen in real time and in our world. And their magic, it's not really that true of a magic. It is just manipulating us to make things happen with our co-creative consciousness. David: Heather, did you ever hear anything like that from these conversations? Heather: Yeah, well, just talking to my father one on one, we would have discussions about things like this. Heather: And one of the things that we did discuss, and I have noticed over the years, there's a lot of distractions to keep us from being in touch with the power that we have in our DNA and the organ, the pineal gland. That organ is tremendously important. It has been just very surveyed over in medical science. Students are not learning about it. Heather: There's a reason for that. When I first started reading about the pineal gland and the power that it holds for us, I asked my dad questions. There's a lot of distractions all the time politically, in the economy, and environmentally. David: So, Corey, did you hear about the pineal gland while you were working in the SSP? Corey: Yes, definitely. And all . . .
David: I've never heard about it actually generating low-frequency radiation before. Corey: Anything that emanates from it is going to be radiation. Corey: It's something radiating from it. And when I was looking at the smart glass pad, we're talking like 30 years ago. So there's a lot of stuff, fine detailed, that . . . I was not into pineal gland stuff, but they did talk about measuring effects from a distance from the pineal gland of different things radiating from that point in the body. David: What does it do, though? I mean, if we're generating this radiation, so what? What's the difference? Heather: That organ is really important both spiritually and with the rest of the cosmic space that we live in. Heather: It's not just Earth-bound. It's a communication device as well as an awareness device. And without it, there would be a tremendous amount of things that we'd never become aware of. It is the foundation of consciousness. It's a communicator. But there are so many things that the pineal gland is purposely exposed to in order to basically pipe down the functionality, if not completely turn off its functionality. David: I think what you just said, and I want to clarify this, the things that it's being exposed to, you mean things that our Military-Industrial Complex, or Cabal, or whatever we want to call them, are deliberately creating to try to suppress its function? Heather: Oh, yeah. I have a coworker and a friend who used to work for the water department. Heather: And he told me about how much sodium fluoride he had to add to the system and that over the years that he worked there, and he worked there for I want to say a couple of decades, over that time, they just kept adding more and adding more . And this is right at home in the Houston area, but it's not just Houston. It's all over the U.S.
David: So let me just add something that I think is relevant here in case you watching this don't already know this. My research has showed that the interior of the pineal gland is water, but that there are small crystals in there, and that fluoride, because the blood-brain barrier is not in effect for the pineal gland, anything that's in your bloodstream can go in there. 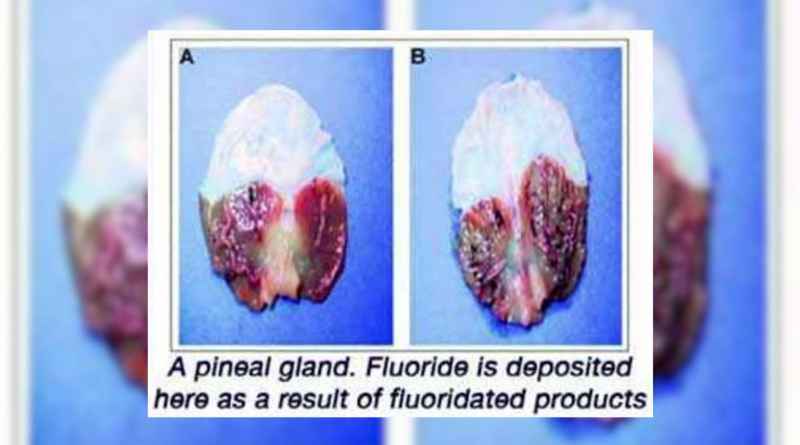 And if there is fluoride in your bloodstream, it attaches to these crystals that are very important to the pineal gland's function. And ultimately you get this thing looks like a bony lump on an X-ray. It's actually calcified pineal gland. So did he ever talk about the calcified pineal gland? Heather: He talked about our government suppressing the pineal gland for a very good reason. And if you ever really wanted to control our type of being in our population, that's the first way to do it. That's the first thing you're going to attack. And it's not been in recent years. The pineal gland has been under suppression for hundreds of years. 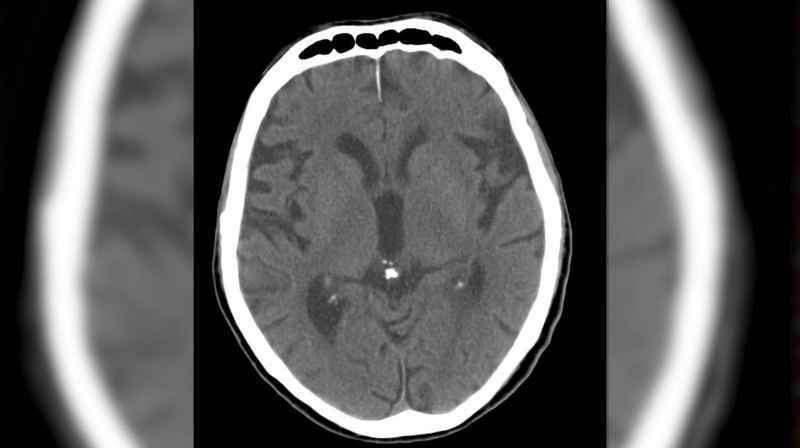 David: Corey, are there any strategies that can be done to fight back against this pineal gland calcification? Corey: Well, yeah. A lot of people have changed their diets, what type of water they intake, and doing a lot of meditation helps. But mainly, it comes from taking care of your temple and being very guarded about what goes into it. David: So distilled water occasionally would help to decalcify? Corey: Yes, that's what I've heard. David: Okay. Now, Heather, you also mentioned that your father and his buddies said that we could change the atmosphere. What exactly does that mean? Heather: Well, every molecule, every compound that exists in our atmosphere and the state of a gas – and it doesn't matter if it's a solid, or a liquid, or a gas, but even gases can be connected to the electromagnetic fields that we produce because all electrons in the outer shell are manipulated by these field forces. And these field forces are waves that travel through and propagate through space and atmosphere. So human consciousness, or the human electromagnetic field that's produced, can change atmospheric conditions. We could actually environmentally clean up this planet through our thoughts, . . .
Heather: . . . because the thoughts is what controls everything we do and how we perceive. David: Have you ever heard anything like that, Corey? Corey: I hadn't heard it put like that, but what she was talking about that occurs subatomically, I definitely read. David: So our minds could create a storm? Is that one thing that could happen? Could we create severe weather? Heather: I would say yes. That's one thing that could happen, but it would take a group effort in order to do so. I wouldn't attribute that to just one person. David: Why are they so freaked out about this? What's the threat? Heather: The main thing that the Cabal or our government is trying to do is suppress our awareness. The less we are aware of what we can do, the less we're going to do. The first step is being aware. The second step is then utilizing what functionalities you do have access to. Some of the things that have occurred in our government over time besides suppression of the pineal gland is suppression of our DNA. Our population has had upgrades of DNA just based on geological catastrophic events. My father told me that some of these events are controlled by alien groups. Heather: How they manipulate Earth catastrophic events is through the Earth's inner core. David: Through the inner core. Heather: Yeah. That's where the . . .
David: Could you be a little more specific? Heather: The Earth's inner core is responsible for the Earth's magnetic field. That magnetic field is a shield. Right now it's been under depletion for a number of years. It goes through cycles of becoming very strong to very weak. Some of that has to do with the Earth's parallax, which occurs every 26,000 years. And we're about 4,000 to 5,000 years away from another complete parallax. Heather: And that has to do with the Earth's wobble. So that wobble will change, and eventually the North Star that we have today will be a different star. Heather: So when these things occur, there are a time window of opportunity to manipulate the planet, and that's when the tectonic plates will move. That's when catastrophic events will take place. That's when human DNA will be changed. David: So Corey, does this line up with anything you've heard? Is the magnetic field in some way a shield that when it's weak it will allow more of this DNA-modifying energy to enter into our planet? Corey: Yes, and in addition to what she's said, I've also heard that the strength of our field has to do with our core, but also it has to do with the interaction of the, I guess, core in the sun. David: Your father is sitting there with his buddies, and was this stuff that you were not supposed to be hearing? Heather: He didn't think I was listening. David: Oh. Ha, ha, ha. Heather: I heard bits and pieces of their conversation. As I got older, him and I would talk, and when he noticed that I was genuinely interested and was following what he was telling me, he told me more. But there were things that he did not tell me because they were top secret, and he adhered to the instructions he was given at work. David: Hm. When did you start to get more information about extraterrestrial groups and what types of groups are out there? Heather: He had mentioned there was a number of groups and that we, meaning our government, has been aware of these groups for a number of years now. So I asked him what types of groups there were, and he talked about the Pleiadians, of course being from the Pleiades star system. They're very tall and fair beings. They're broad-shouldered. They're very wise. They're a very old civilization. As far as he knew, they were among the oldest of civilizations in operation. They're very kind. They're only here to do good. He also talked about Nordics. Nordics are farther away than the Pleiades star system. He said they had no body hair. They were also tall. They were also a good group, and they work on things like the Pleiadians to help raise consciousness, and not just our planet, not just our solar system. He talked about Reptilians. They're very intelligent. They're also an older civilization. However, their intentions are not good. He talked about two different types of Greys. Both are being controlled by older civilizations, one type being tall, and the typical pictures of the oval face, the small nose, the large eyes. And actually, he did mention to me before that some of the Greys are controlled by the Pleiadians. The small Greys that are about three to tour feet in height that you would typically see in the craft like my mother and sister witnessed, those are very robotic, very programmable, and those are controlled a lot of times by the Reptilians. Heather: Although other alien groups can take control over these robots because the technology is old. David: All right. Well, let's take stock of some of that, Corey, because we've got a good foundation here. So the first thing that she mentioned was Pleiadians. And you said they were tall, Heather? David: Could you be a little more specific? Did he ever give . . .
Heather: Seven, eight feet tall. David: Okay. So have you heard of anything like that? Corey: I've heard of beings like that, but as I stated before, in the programs they found out that a lot of these beings that we were interacting with that were telling us they were from this or that star system, they were not telling us the truth. They were doing it for operational security so we didn't know exactly where they did live in case we developed technology and became a problem. But there are some of these people that get lumped in with the Nordics that are around eight foot tall. A lot of them have blonde to like strawberry blonde kind of hair. And they'll have blue eyes. They're very tall. The men sometimes will have beards. David: And she also had mentioned Nordics, and you said that they did not have body hair. Heather: That's what he told me. Corey: Right. There are groups out there that are completely without body hair, bald. They're tall, pale. But I'd never heard them referred to as Nordics before. David: And let's talk now, Heather, about Reptilians, because that's something that we've actually gone into quite a bit on this show. So I'd like to . . . When did this subject with your father first come up? I mean, the television show “V” was out in the early '80s, and so that was obviously an invading alien race that tries to look benevolent, but then they have a Reptilian face under the human face. Heather: Yeah. When we first talked about the Reptilians, I was 19. I was going to college, and I was working part time at Space Center Houston. And that's when he really opened up and started to tell me more. I think he felt that I was at a mature enough age to comprehend it, and he did tell me a few times, “I wouldn't talk about this stuff with your friends. I wouldn't share this information, especially not right now. Just keep it to yourself.” So I did. Corey: Sounds like stuff I tell my daughter. David: Yeah. How did this subject with him come up? What was the first . . . How did it start? Heather: So usually I was asking questions based on something I heard him say. David: Okay. And what was his response? And I don't know if he has, and I don't know that he would ever disclose that, but . . .
David: What was the description that he gave of them? Heather: Well, they have scales. They're very reptilian-like. They look like us, but they have a body full of scales. Their eyes are different. They have different-shaped head. They have a little bit larger head than we do. And he said something about the top of their head. They had some type of hard material, almost like a helmet. Corey: Like a nuptial hump? Heather: Yeah. Yeah. And he said they controlled some of the small Greys that do the abductions on this planet without our permission. Heather: A number of people are abducted, not just animals. David: Did he get into any detail about their color or their appearance in that sense? Heather: I don't know that we discussed their color. Heather: But he said, “Just think of a snake and how a snake skin looks and appears.” That's kind of what they would look or feel like. David: Was it confusing to you when he first brought this up to try to understand and visualize what he was talking about? Heather: Yeah. I think I laughed a few times. It sounds a bit ridiculous, especially in 1992. Heather: And that was the first I had heard. And then when the Internet became available, around the time of 1996, 1997, there wasn't a whole lot of information available. Heather: But as time progressed, I would do some research, library and Internet, just to see what is available, and basically to verify what he has told me before. There wasn't a lot of information. David: You said the eyes looked different, but you weren't specific. Did he ever tell you how they looked different? Heather: I think he said they were yellow in appearance or red, not the same colors of our eyes here. David: That's exactly what Corey said before. David: Did he talk about vertical-slit pupils? Heather: Well, he said they were reptilian eyes. David: Right. Okay. So that lines up very nicely. Let's profile these beings for a minute. Did he give you any information about where they had originated from or how old they were or anything like that? Heather: The Reptilians, he said, were an old civilization, but they've had a lot of problems. And he didn't get into a whole lot of detail other than they've moved around. And they have had an enormous amount of evil intentions on not just the Earth, but other groups. David: Are these ETs all holding hands and signing “Kumbaya” together, or is there some type of battle between them? Heather: There's definitely a battle. There's a galactic battle that's been going on since time began. David: So, Corey, how well does this correlate with things that you've heard? Corey: It sounds a lot like what we've discussed. David: And this idea of the Reptilians having to move around a lot, she didn't get a lot of information, but what is your understanding of why they have to move around? Corey: They are a transient species of conquest, and they travel from region to region, looking for clusters of star systems that they can exert their influence over. David: And they keep getting wiped out or beaten? Corey: Yeah. They've had . . . A lot of people out there, they've been programmed to believe that the Reptilians are all-powerful, they cannot be defeated or killed and all this. They've been defeated many times, even here on Earth. They've been chased off of Earth many times and come back. David: So, Heather, you mentioned the history of the Reptilians, the Nordics, the Pleiadians. Did you ever get a thing about how old the Greys were? Or are they just something that's created, almost like a commodity? Heather: The Greys are created as if they were androids made by people. They're robots. They are programmed, although they have a powerful computer-like mind that has biological aspects. And they can control the crafts that they're in, but there are times they're not very good at it. Heather: Yeah. There's been times that they don't come into the Earth's atmosphere at the right location, and that's why there's been crashes. Just like a computer that a human programs, it can crash. It can get viruses. It can have issues or things you overlook. It's the same thing with the Greys. David: One last thing I want to ask you, Heather, just before we close out this episode is, some of the stuff that you've said might be terrifying to some of the people that are watching this show. Did your father ever express that there was a vulnerability of these negative groups? Are they just invincible and all-powerful, or is there a vulnerability there? Heather: He told me this. They work in large numbers because they have to. Heather: It takes a lot of say, Reptilians, to get anything done. They work on a very low level of consciousness, very low, intense radiation. Corey: Like drones, kind of droning around. Heather: So they have to work in large numbers to accomplish what they want to do. David: Hm. So how is that a vulnerability? Heather: Wipe them out to a small number. Corey: Yeah, find a way to split them apart. David: Divide them . . .
David: . . . and they don't have the strength when they're separated. So that's all the time we have for in this episode. I'm David Wilcock here with Heather Sartain and Corey Goode. This is “Cosmic Disclosure”, and I thank you for watching. As I have said in the past, it is always good to see a story come together, particularly when this story involves the consistent revelations of a long overdue disclosure event from official sources. Right now, it seems we are receiving the information necessary for painting a complete picture of the world beyond our controlled life experience. The task of deciphering the truth of our cosmic situation may seem like a fairly hefty challenge. However, the task is very similar to any case in professional detection or scientific research. We gather the testimony and evidence that we have seen, then verify these with as many sources as possible. The goal of accurate investigation is to give the evolving story every possible chance of validation. We maintain this goal of validation because if we were to presume every subject invalid, we would have no job as an investigator/lawyer/scientist. This is a standard that every researcher holds to and if they value accuracy, our research requires the same professional quality. We may be familiar with those who have claimed to be researchers, but instead of doing their due diligence of validation, they do everything in their power (mainly by dishonest and deceptive tactics) to discredit and invalidate the body of data which the Cosmic Disclosure series has built over time. These individuals are usually paid to do so, and most of us have become skilled at weeding such people out from a crowd. We are interested in adequate and accurate research and researchers, and though it can be entertaining at times to see what trollers have to say, it is important that we stay on task if we intend to get to the truth of this or any situation. The only time we can be sure of what we see is when Full Disclosure takes place. We will know this is occurring because it will include the detail of crimes against humanity that have been committed against us for the sake of secrecy. It will also include adequately addressing each of the subjects we have heard discussed by highly opposed sources. What do I mean by “highly opposed?” These are sources which the establishment considered especially threatening to the status quo. This is why we see these individuals being professionally trolled so consistently. Though no source is perfect, it is important that we maintain our focus and our intention in creating a world of honor and respect for all life and for our planet. This new world is coming, but it will only manifest if we are willing to maintain our positive resolve to experience it in the now.